Prim Perfect Jigsaw – Celebrating Steelhead – and a Birthday! 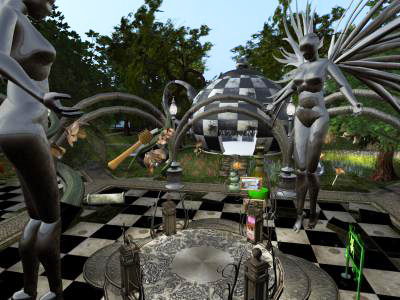 Today is the birthday of TotalLunar Eclipse, co-owner of Steelhead (with his real life and Second Life partner, Tensai Hilra) and here, to mark that, is a picture of perhaps the most fantastical of the Steelhead sims, Steelhead Nevermoor – part Edagr Allen Poe, part dark Alice in Wonderland/through the Looking Glass – and, oh yes, part residential. Lunar (as he is often known) is a phenomenal builder – and not only in terms of the sheer qualty of what he produce; his speed is pretty dam’ awesome too. Every week Steelhead stages a dance for its residents, usually with a theme that gives people the opportunity of dressing in some really fun costumes – and many weeks Lunar and Tensai create an astounding themed environment where the party takes place. Lunar and Tensai are among those builders who straddle the boundaries of art and craft – usually, they see their creations as being for use rather than as artistic statements. But the quality and the content both make them as interesting as many of the virtual world creators who are perceived primarily as artists. I’d love to see them with their own LEA sim but … would they be interested? Anyway, Happy Birthday, Lunar!  Everyone else – enjoy the jigsaw – and do go and visit Steelhead! Previous Post: Are you exploring the secrets of The Blackened Mirror?